There might be snow on the ground, but that won’t stop any hockey at the Eastlink Centre. 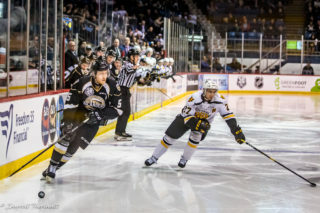 The Saint John Sea Dogs arrived in Charlottetown late last night and will take on the Islanders in a rematch from this past Saturday, a game in which the Islanders would love to have taken two points amidst a battle for playoff positioning in the Eastern Conference standings. 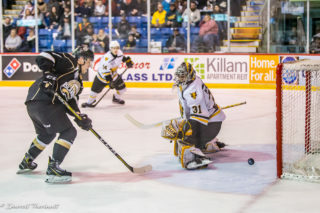 The Isles were up 5-3 in the final minutes of the third period, however Nicholas Deakin-Poot scored twice to tie the game up and send it to overtime, where Filip Prikryl would pot the game-winner for Saint John. Deakin-Poot finished the game with his first career hat trick. One of the keys to success this week for Charlottetown will be the reversal of fortunes on the powerplay. The Islanders went just 1-for-11 with the man advantage last week. Forward Thomas Casey said they key will be to simplify things for success. Welsh will get the start in goal for the Islanders tonight. 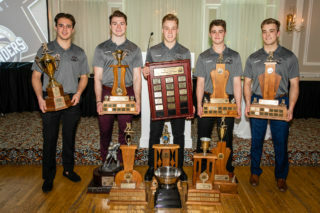 He says that although he believes today’s game is a winnable one for the Isles, they can’t take the Sea Dogs lightly, as evidenced by last game. The Islanders will be missing a big piece of their offense, as forward Nikita Alexandrov will sit for the next two games to nurse a nagging injury. Charlottetown will also be without Drew Johnston for the next two weeks with a thumb injury. The team has recalled Sullivan Sparkes from the Summerside Capitals of the Maritime Hockey League to fill in this week. 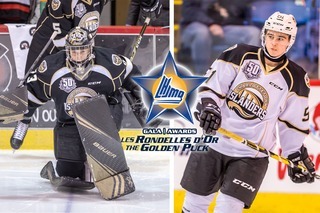 You can get your tickets at the Eastlink Centre box office, by phone at 902-629-6625, or online at boxoffice.eastlinkcentrepei.com. 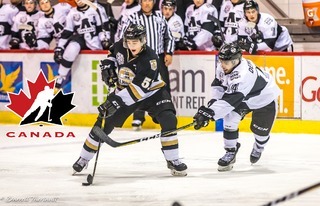 Don’t forget that it’s Winning Wednesday: Redeem your ticket from our last Wednesday game, January 30th vs. Victoriaville, at the Eastlink Centre box office for a free ticket tonight!